Family is important to us here at Dustin Garrett and Associates at Team One Group Real Estate, and we’re always looking for fun ways to bring the community together. This year, we’re holding our 3rd Annual Easter Egg Hunt at Liberty Park in Nampa, and we want you to be there! Join us as we track down the Easter Bunny to get all the details on this awesome event, with sneak peeks of the venue offered along the way. This is one Easter celebration you won’t want to miss! In this 3rd year of hosting our Easter Egg Hunt, we’re pulling out all the stops to give our guests a great time. Thousands of eggs will be hidden throughout the park, with hunts divided into three age groups to make sure every child gets a chance to find their own treasures. Vendors will be on hand to add to the fun, offering face painting, cotton candy, kettle corn and more. Liberty Park, a beautiful recreation space that includes a variety of open grass fields, playgrounds and a covered picnic area for relaxing in the shade, is the perfect venue to host all of the fun! We searched high and low to find the Easter Bunny, and he agreed: he’ll be participating in our Annual Easter Egg hunt, too, and he helped us set a date! 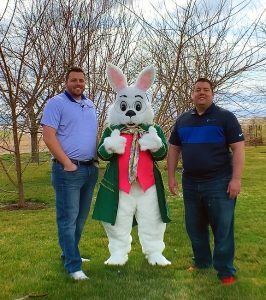 Mark your calendar, because the fun starts at 10am on Saturday April 13th, and you’ll have the opportunity to get your picture taken with the Easter Bunny as a great keepsake of the day’s events. 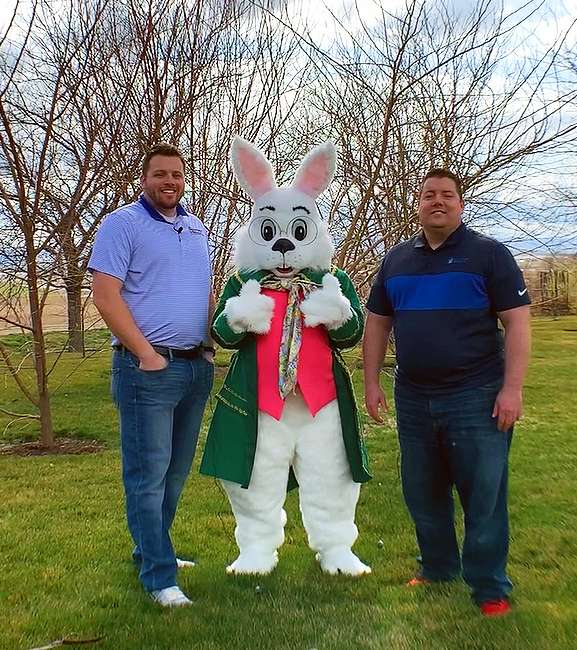 Located right behind the Nampa Rec Center, Liberty Park is the perfect place to hunt for Easter eggs and have a day fun-filled day with the whole family. Be sure to check out our Facebook page for updates and details on the event, and we hope to see you there!